By now it is widely known that South Africa delivered a bumper maize and soya bean crop this season. Some farmers are still harvesting, but we have already seen new record yields being reported. The latest reported delivery figures up to the 25th of August 2017 as reported by SAGIS put this into perspective: a total of 14,109 million tonnes of white and yellow maize have already been delivered against a total of 16,413 million tonnes expected. As can be seen in the graph below, this is well above the five-year average of approximately 10 million tonnes. 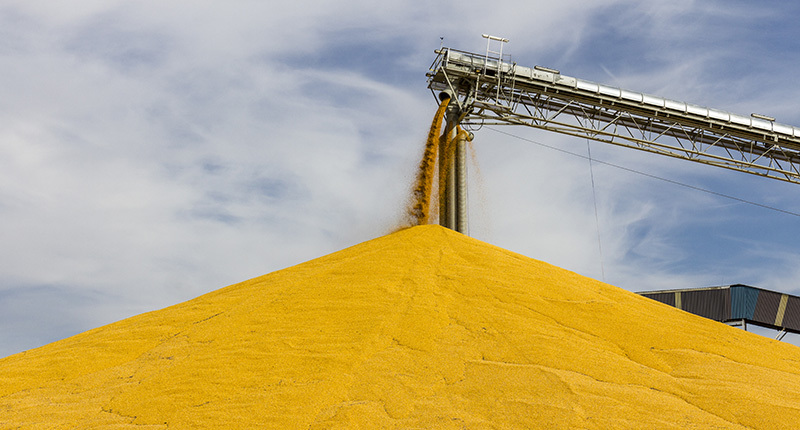 To earn foreign capital and support local maize prices for sustainable maize production, South Africa needs to export as much as possible of the approximately 4,5 million tonnes surplus. According to SAGIS, up until the 25th of August, a total of 1,103 million tonnes had been exported, keeping in mind that the marketing season only ends on the 30th of April 2018. To date the biggest export destination for white maize has been Kenya (56%), followed by Botswana (21%). Yellow maize destinations include Japan (49%), Taiwan (29%) and South Korea ( 15%). Prices should remain suppressed close to export parity with the Dollar/Rand exchange rate and CME corn prices playing a major role in price direction.